SAPHARI IS OVer, BUT our RESEARCH journey through SAFE PHRI GOES ON! 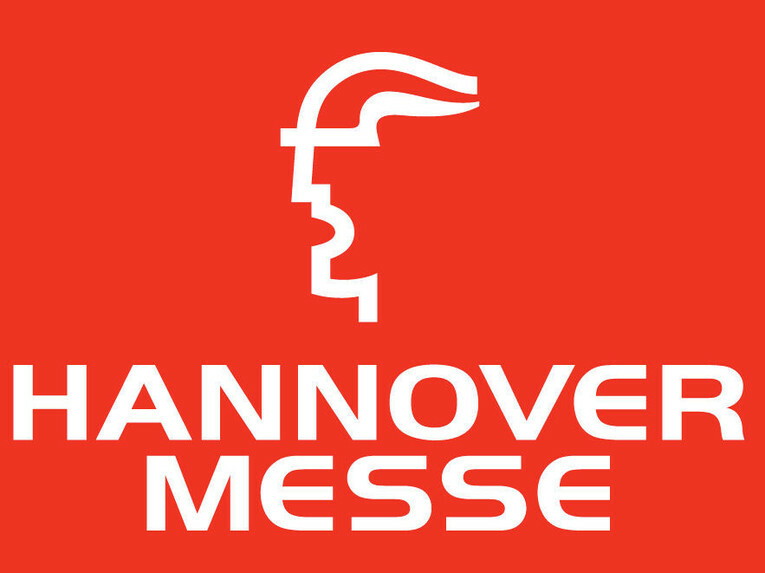 Two spin-off companies created with the contribution of SAPHARI Project were present at Hannover Messe, on April 24-28, 2016.
qbrobotics srl, a spin-off of the two SAPHARI partners Università di Pisa (UNIPI) and Istituto Italiano di Tecnologia (IIT), is a robotics research and development company that produces innovative actuators, devices and systems for soft robotics. 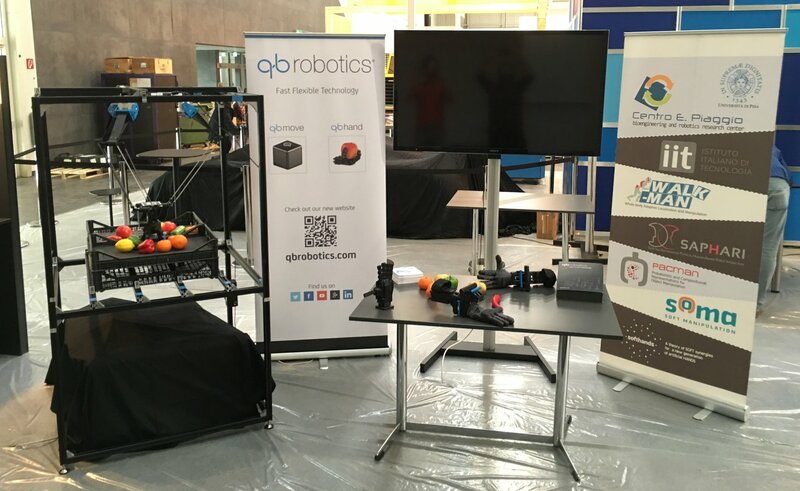 It adheres to the Natural Machine Motion Initiative, a community tool originated by SAPHARI, with the goal to build robots that can move naturally, and shares its fully open-source philosophy: qbrobotics contributes to this initiative by offering full open access to the design of its products. 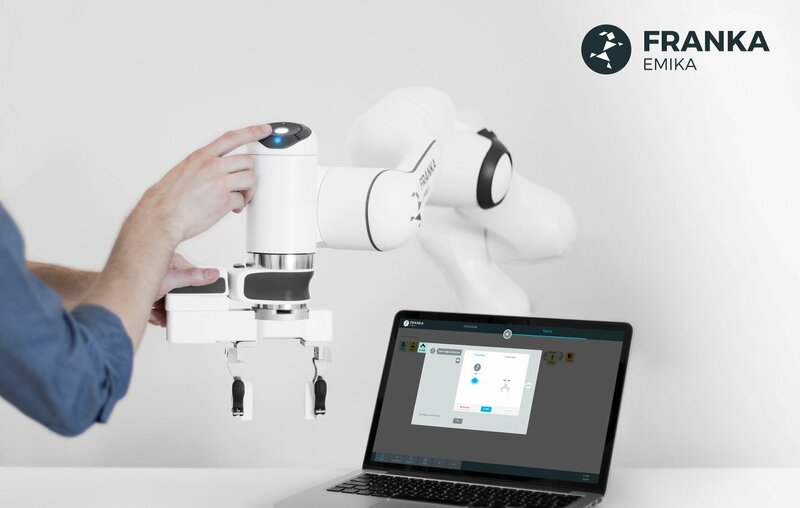 Kastanienbaum GmbH is a spin-off of the SAPHARI Partner Institute of Robotics and Mechatronics of the German Space Agency (DLR) with the goal to turn the vision of human robot coexistence into reality. To achieve this mission, it develops and brings to market innovative software solutions. In 2013 Kastanienbaum and KUKA created the company KBee AG, which develops and designs human-centered industrial robots. On April 25, 2016, KBee presented FRANKA EMIKA, a revolutionary human-centered robotic system designed for human-robot collaboration.